The death of Justice Antonin Scalia has served to highlight the divisions that characterize so much in Washington. First, and foremost, the Supreme Court itself has long been as divided as the country itself. Split 4-4 with a conservative-leaning swing voter — Justice Anthony Kennedy — as a frequent tiebreaker, in Scalia’s absence the court is left in a dead heat in areas ranging from affirmative action to union dues to abortion. Scalia was a critical part of the 5-4 conservative majority in a litany of major cases. However, it is the division in the Senate that could produce the next constitutional crisis. Faced with a refusal of the Republican senators to move forward with a nominee for the court in the last year of the Obama Administration, President Obama could use the nuclear option: a recess appointment to the Supreme Court. Under Article II of the U.S. Constitution a president is allowed to temporarily fill vacancies that “may happen during the Recess of the Senate.” I have long been a critic of recess appointments to the judiciary. While far less common than appointments to the Executive Branch, such appointments have occurred historically (including 12 to the Supreme Court).Yet judicial recess appointments undermine the integrity of the courts by using the equivalent of a judicial temp for a position that was meant to be held by a jurist with lifetime tenure. The framers wanted a president and the Senate to come to an accord on such appointments, including the need to compromise to achieve such goals. Obama, however, made it clear years ago that he was willing to go it alone when Congress failed to give him legislation or confirmations that he demanded. His unilateral actions have already produced a constitutional crisis over the fundamental guarantees of the separation of powers. This includes a unanimous 2014 decision of the Supreme Court that Obama violated the recess appointments clause in his circumvention of the Senate. For a president who has shown a tendency to “go it alone” when denied action by Congress, a recess appointment may prove an irresistible temptation for Obama. The Republican leadership has already signaled that it has no intention of moving forward with such a nomination, objecting that (in 80 years) no president has moved such a nomination within his final year in office. While there is ample time to vote on a nominee, the president could make an appointment if his nominee is denied or if his nominee is left to languish in the Senate Judiciary Committee. The Republicans may have unnecessarily tripped the wire by saying that they would not move forward on a nomination as opposed to slow walking and rejecting a nomination. The failure to even consider the nominee could give the president the rationale for a recess appointment. Ironically, the justice who tended to favor executive assertions of power and limit the ability of Congress to challenge such assertions was Antonin Scalia. The president could claim that his power is in full effect with the current recess of the Senate. He could also claim such authority with the end of the annual session. Generally, the authority to make a recess appointment has been recognized with a recess of greater than three days. The Senate can avoid that trigger by remaining in technical session with little or no business being transacted. That could push the target recess to the end of the session where Obama would make the appointment before the next Congress assembles in January — an appointment made in literally the waning days of his term. I happen to think Obama is well within his rights to make the nomination. As hockey great Wayne Gretzky said, you miss every shot that you never take. And this is a shot most presidents would take. If blocked, however, Obama should recognize that a new president will enter office in a matter of months (or weeks with an end-of-session appointment) with a national mandate. Such a decision would undermine the integrity of the court with a display of raw muscle by a departing president. It would cement Obama’s troubling legacy as a president who waged an unrelenting campaign against the separation of powers that is the foundation of our constitutional system. The difference between a statesman and a politician is often the exercise of restraint. It is not enough to say that you can do something, but whether you should do something. This is something Obama should not do. Jonathan Turley is the Shapiro Professor of Public Interest Law at George Washington University and a member of USA TODAY’s board of contributors. 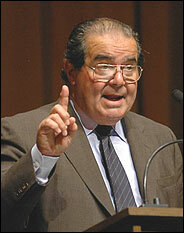 He has written and testified before Congress on the role and limits of recess appointments. Jo schmo is probably younger than rubio. And doesnt understand the “swindled” …..the generations born between vietnam ( cold war communism) and mil lenials. (Post 88-89)…..the generation whose wealth is being swindled as we transition to communism. The swindled…..or as govt calls us tge ” squeezed” generation. Good thing jo schmo considers himself a shrink. He’ ll save a bundle of his old mans cash.